Tomorrow, September 30, Davidson College welcomes the Punch Brothers to the Duke Family Performance Hall. The group has been playing a startling mix of bluegrass, jazz and classical music to sell-out crowds around the world. 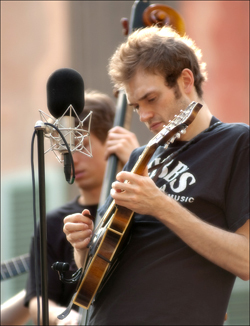 And today at 10:30 AM, you can hear WDAV’s exclusive interview with the band’s mandolin virtuoso, Chris Thile. Listen over the air at 89.9 FM, via the Public Radio App with your iPhone or via live streaming through iTunes or wdav.org.